With the new Simplii Financial™ Mobile Banking App on your iPhone or tablet, you can pay bills, transfer funds, check your balance and more. Simple, convenient and secure – it’s the ideal app for your everyday banking needs. Sign in with your Simplii Financial online banking password or register right from the app. Add a nickname or image to your account, edit your contact information, password and your personal verification questions. Set up Touch ID or Face ID on your device and speed up the sign on process with a single touch or a quick glance. Deposit your Canadian dollar cheques by using your mobile device. Just take a picture of both sides of your endorsed cheque, enter the dollar amount, select the account you would like to make your deposit to, and submit it. Check account balances on all your Simplii Financial deposit, borrowing and investment accounts. Your deposit accounts include a running balance to help you keep track of your spending. Review details of your transaction history for deposit and other eligible borrowing accounts. You can also view your Online Statements and cheque images. Pay bills you’ve already set up in online banking, add new bills or set up future bill payments. Transfer funds between your eligible Simplii Financial banking accounts and set up recurring transfers. Send an Interac e-Transfer® to anyone on your recipient list or add new recipients. * You can also receive funds, send a request for funds, and check the status of an e-Transfer. View past and upcoming bill payments and transfers. Search or use your current location to find nearby CIBC bank machines. Ensuring the safety of your information online is important. When using this app, your information is protected under the Simplii Financial Personal Banking Online Security Guarantee. You can bank with confidence knowing your privacy is safe. For more information, select the shield icon in the upper right corner of the app. By downloading the Simplii Financial Mobile Banking App, you consent to the installation of this app and to any future updates or upgrades which may be automatically installed depending on your device or operating system’s default settings or the settings you have selected. You can withdraw your consent at any time by uninstalling this app. Accessing the app may result in additional service fees charged by your service provider. Check with your service or hardware provider if you have questions about your specific device. Simplii Financial can be reached at P.O. Box 603, Stn. Agincourt, Scarborough, Ontario, M1S 5K9. To learn more, contact Simplii Financial at this mailing address or visithttps://www.simplii.com/en/contact-us.html. *When sending e-Transfers, you can have this app access information from your contact list to fill in the required recipient information. At no time is that contact list data transmitted to or shared with the providers of Simplii Financial services. 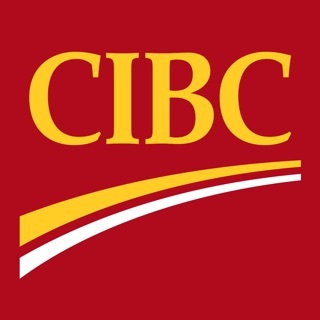 “SIMPLII FINANCIAL” and the SIMPLII FINANCIAL DESIGNS are trademarks of CIBC. Interac e-Transfer is a registered trademark of Interac Inc. CIBC is an authorized user of the mark. •Bug fixes and general performance improvements. Can’t do e-transfers keep getting error that the service is unavailable. And why can’t I view my MasterCard in the App?! This app is a joke, it never works..